I've spent the last few days redoing the monster-generation for levels. It's working reasonably well. 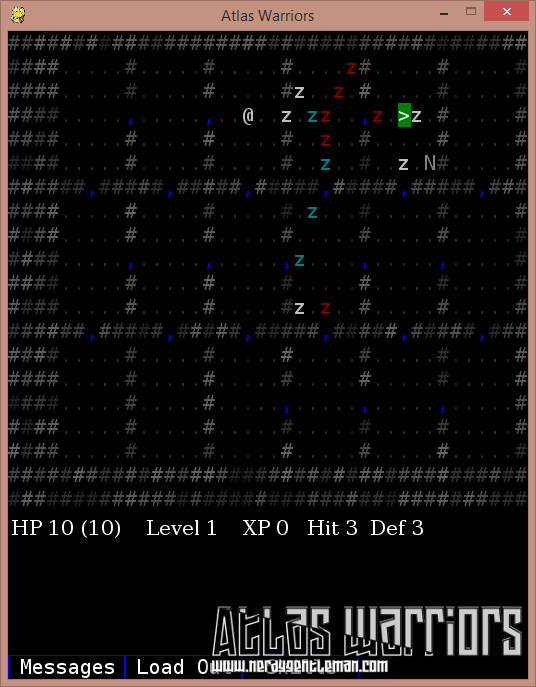 One of the things I've decided is to include a special undead level - the Tomb of the Necromancer. 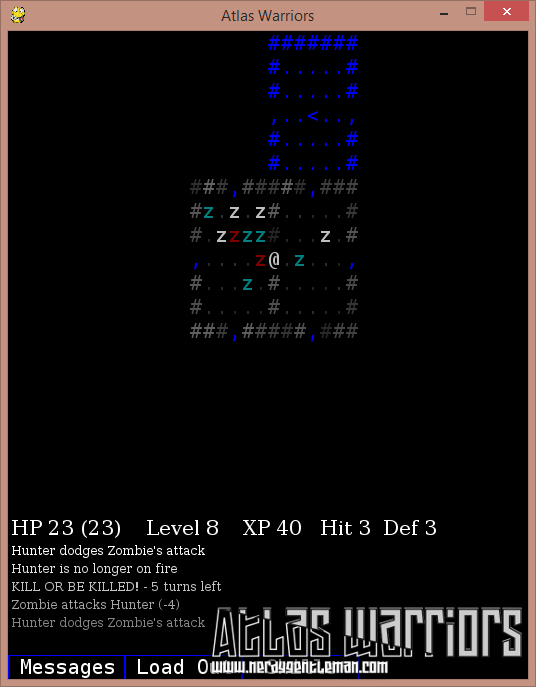 The Tomb of the Necromancer includes the titular Necromancer and Zombies. It's a regularly patterned level with lots of doors that will hopefully have players surrounded and be a sufficiently horrifying and memorable experience. Zombies are going to be reasonably weak, but they're going to reduce your defense significantly when they're adjacent to you. You won't want too many nearby, or else you're going to be taking a lot more damage and dying a lot sooner.